We've found a remarkable property for you that's a bit different to the norm. With exceptional features it's challenging to know where to start. Let's start with the current and potential returns. The property is laid out as a three bedroom house and a two bedroom apartment. The spacious separate apartment returned $37,000 on a holiday-let basis for 2017. This year the forecast is $45,000 gross. The apartment is consented and additionally comes with a resource consent for Visitor Accomodation for 365 days per annum, which is valuable as the council is introducing rule changes next year. The three bedroom house is estimated at $900 - $950 per week for a long-term tenancy, providing a potential annual return of approximately $90,000 (based on a long-term tenancy for the house and short-term lets for the apartment). While the style and flair of the home is evident, you'll also receive an exceptional quality of build that comes with the balance of a 10-year build warranty. Built in 2016 specifically for the owners lifestyle, it has a higher specification than usual. With much attention and thought into the plan and layout of the property you'll have several added extra's like Corian benchtops, tiled bathrooms, superior fittings throughout and walk-in pantry and wardrobe. The large site of 907 square metres allows for two generous outdoor living areas; an internal sheltered courtyard and a separate lawn and patio area, allowing for great entertaining hotspots. Elevated over the terrace below with reserve directly in front, you'll have a front-row view that's private. Fully fenced and landscaped, all you need to do is pour a chilled beverage for you and your friends, while you admire your new investment. This property offers you multiple options. Perhaps for your extended or blended family, or an astute way to supplement your mortgage, or exceptional returns from an investment property. If you're searching for a stylish home for yourself it would be a dream to live in. This property is a rare find and our owners are committed to their move. We recommend you view with urgency. Please call Kirsty on 021 767 140 or Adam 027 22 88 020 for further details. At our owners instruction this will be sold at auction (unless sold prior). 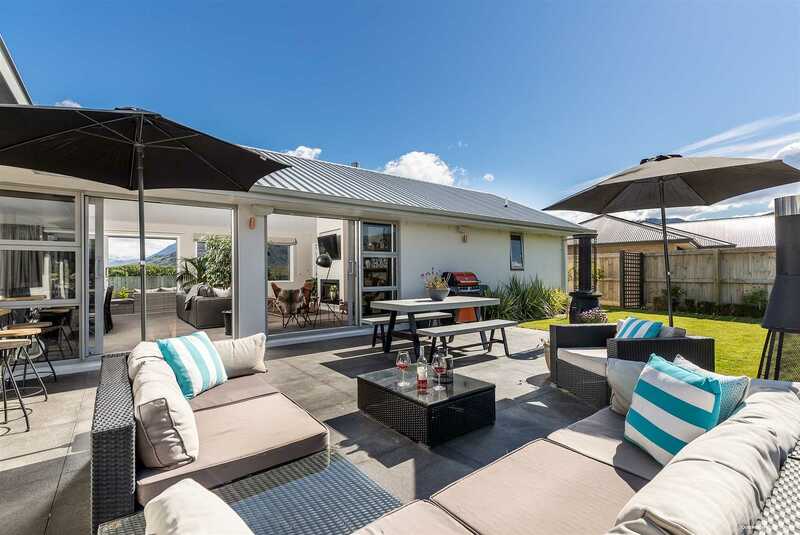 Auction: 12noon, Thursday 29 November 2018, Harcourts Offices, 39 Shotover Street, Queenstown.